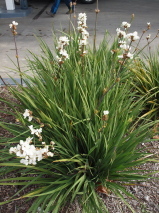 Clump forming perennial with narrow flax-like dark green leaves. 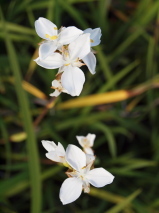 Tall spikes of white Iris-like flowers in spring. Hardy, grow in sun or dappled light in well drained soil that does not get too dry. 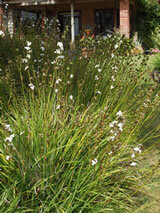 Very effective planted on mass, or amongst shrubs and perennials.